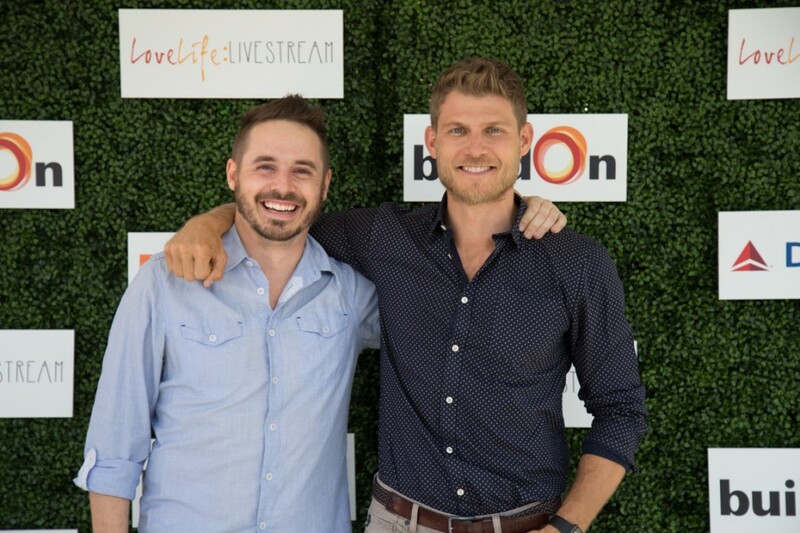 On Sunday March 6 actor, philanthropist and buildOn Ambassador, Travis Van Winkle (TNT’s The Last Ship) hosted his second annual LoveLife:LIVESTREAM event, a talent showcase in Los Angeles. The fundraiser brought together actors, musicians, dancers, poets to donate their time and talent in support of buildOn. The four hour event was broadcast LIVE from The Microsoft Lounge to a global audience. This globally live-streamed event met and exceeded their goal to raise $100,000 to build three primary schools in Senegal with buildOn. Musicians Andy Grammer and Rachel Platten not only gave a sensational performance, but will be building one of the three schools with their manager Ben Singer. Actress, musician and buildOn Ambassador Katharine McPhee, who donated $30,000 during her performance, is funding one of the schools as well. Pictured at top: Singer-songwriters Mark Ballas and BC Jean perform at the LoveLife:LIVESTREAM event. Actors Justin Baldoni from CW’s Jane The Virgin and Emily Baldoni joined the event and later performed in a lip sync battle on stage. 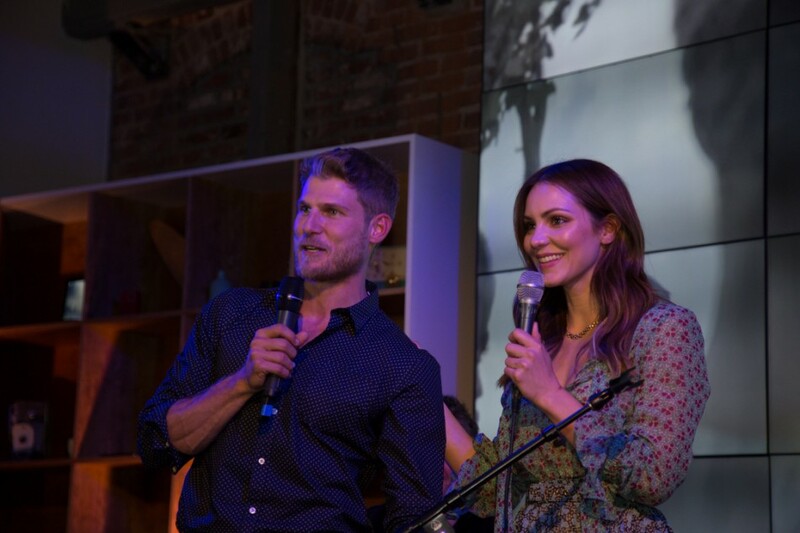 buildOn Ambassadors Travis Van Winkle and Katharine McPhee joined each other on stage. Van Winkle will be building one of the three schools in Senegal that the event supported. McPhee’s generous donation fully funded another of the three schools. 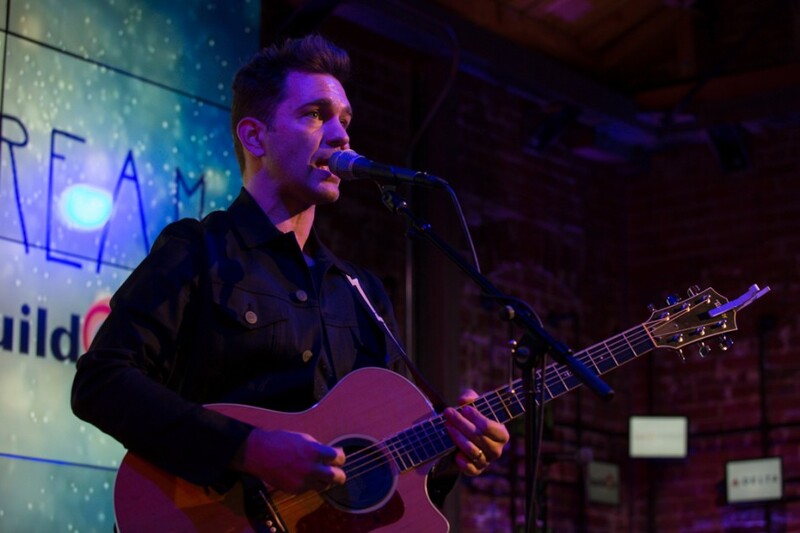 Singer Andy Grammer performed at the event and will be building one of the three schools with singer Rachel Platten and their manager Ben Singer. Actor Brett Claywell joined Travis Van Winkle at the LoveLife:LIVESTREAM. Additionally, Travis plans on bringing 6 “Bigs” and 6 “Littles” from the Big Brother Big Sisters of Greater Los Angeles to help build one of the schools in Senegal. The school building trip will provide the opportunity for the group to travel overseas, live in a rural village and engage in meaningful cultural exchange and service. These buildOn Students Have Given 50+ Hours of Service to Their Communities!